Cell phones and broadband are now an everyday part of life not only in the developed world but increasingly in many developing countries. However, these modern day necessities have also become a major source of environmental degradation. Every year, millions of people around the world upgrade their cell phones often discarding the old phone rather than recycling them. Discarded cell phones, computers and other electronic devices usually end up in garbage dumps and landfills creating a major high techwaste problem. Electronic waste often contains highly toxic materials that can negatively impact the environment for decades or even generations. A CRT monitor, for example, can contain between four to eight pounds of lead, a highly toxic heavy metal. Flat panels do not use lead but contain mercury, an equally dangerous toxin. One of the easiest to help with the electronic waste problem is to recycle rather than discard your old cell phones and computers. A number of companies will even purchase your old phones allowing you to make a little money in the process. You can use major search engines like Google, Yahoo and Bing to find companies that specialize in purchasing and recycling or refurbishing old cell phones. Most of these companies will include lists of phone models that they purchase on their web sites. If you have a phone on the list, you complete an online form to request a purchase. The company then sends a special padded envelope for you to send in your cell phone. Once the phone is checked to make sure it is still in satisfactory condition, the buyer will promptly send you the payment. In addition to selling your cell phone, you can also donate the phone to worthy causes. Many charities, manufacturers, community organizations, retailers and network carriers accept old cell phones for recycling programs. Old phones may be refurbished and provided to low income or other needy communities. In many cases, you will not have to worry about your private data either as facilities are provided that allow you to erase all personal information from your old phone. 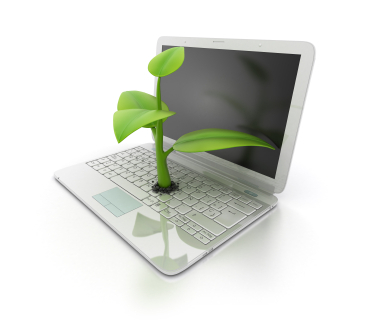 Another way to help protect the environment with your electronic gadgets is use a eco-friendly cell phones, computers and other electronic devices. For example, T-Mobile’s MOTO W233 Renew is made entirely from recycled water bottle material. Motorola, the Renew’s manufacturer, claims this is the world’ first carbon neutral phone. Samsung offers the Reclaim phone that is made of 80 percent recyclable material in addition to using organic materials and packaging. The Samsung Blue Earth S7550, like the MOTO W233 Renew, is also made of recycled water bottle plastic and, in addition, is equipped with solar cells. The German company Puma also offers a cell phone that can be charged with solar energy and that features an eco-metering system that lets users know how much energy they are saving. Since many of today’s cell phones can be used with different SIM cards, you will not need a new phone when purchasing a new SIM card. You simply use the new card with the old phone. Another benefit from SIM card deals is that they generally provide more texting and minutes than other comparable plans. A wide range of green apps are available that can help you reduce your carbon footprint and contribute to a more sustainable planet. For example, there are apps that you can use to monitor your home’s electricity usage and remotely control thermostats, lights, security systems, and other devices in your home from your cell phone. Many high speed internet ISP’s are now taking responsibility for our effects on the environment and are powered or part by eco fuels such as solar panels go and search for “green broadband” and many green broadband companies will come up such as they often are running such things as tree planting schemes and have eco offices (use recycled paper, have energy monitors etc). James is a writer and social marketing from London. He is interested in Technology, Eco, Green, Writing, Travel, Marketing and combinations of the above also likes to spin fire (POI & Staff) and is known as Firespin Jay!